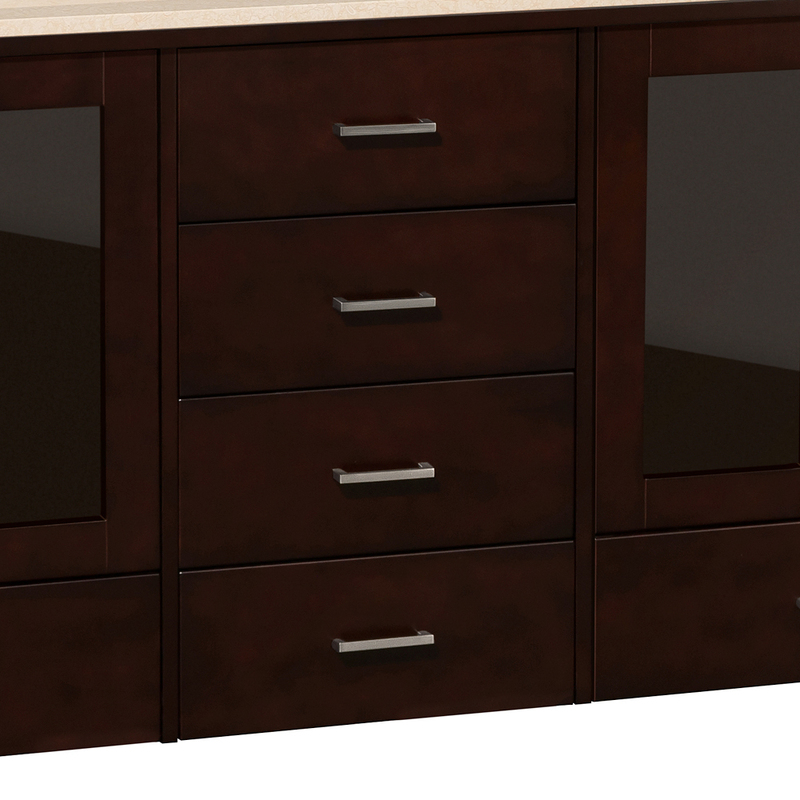 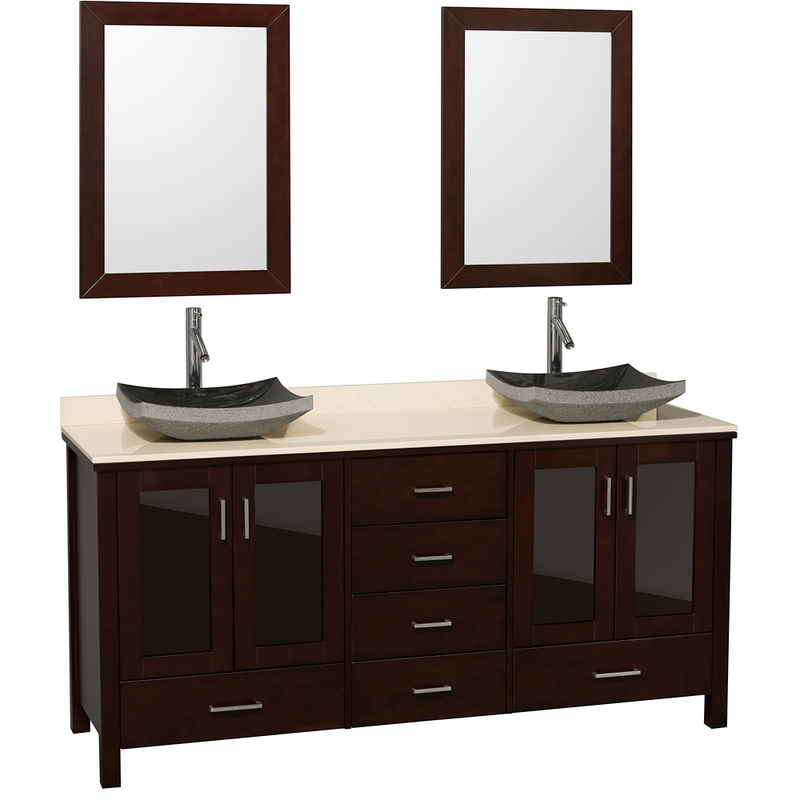 The Lucy Double Bath Vanity combines beauty, quality construction, and functionality like few other vanities. 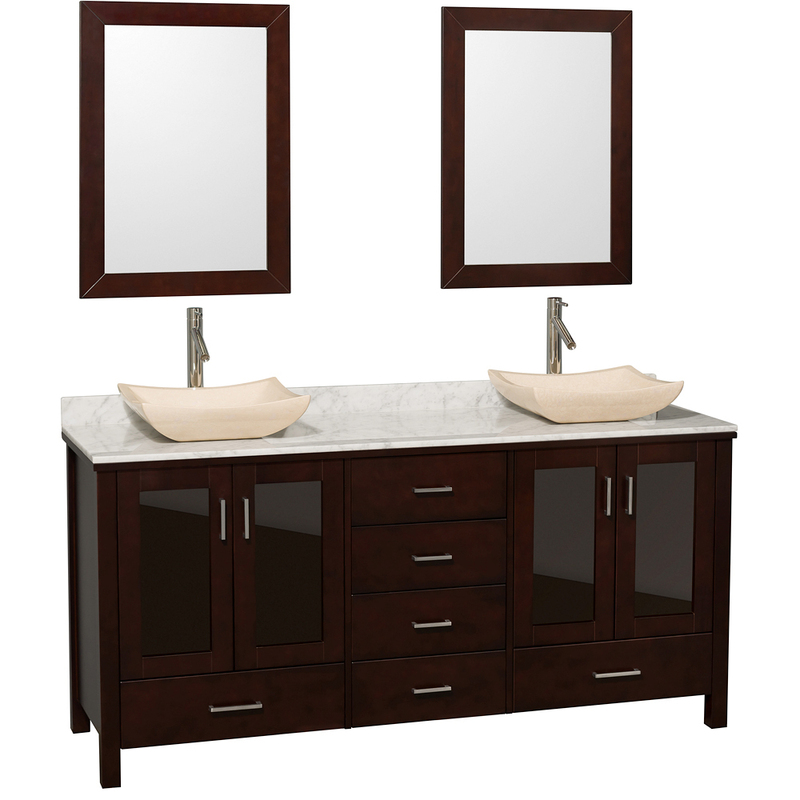 Its look is refreshingly modern, with clean line, brushed chrome finished hardware, and natural stone. 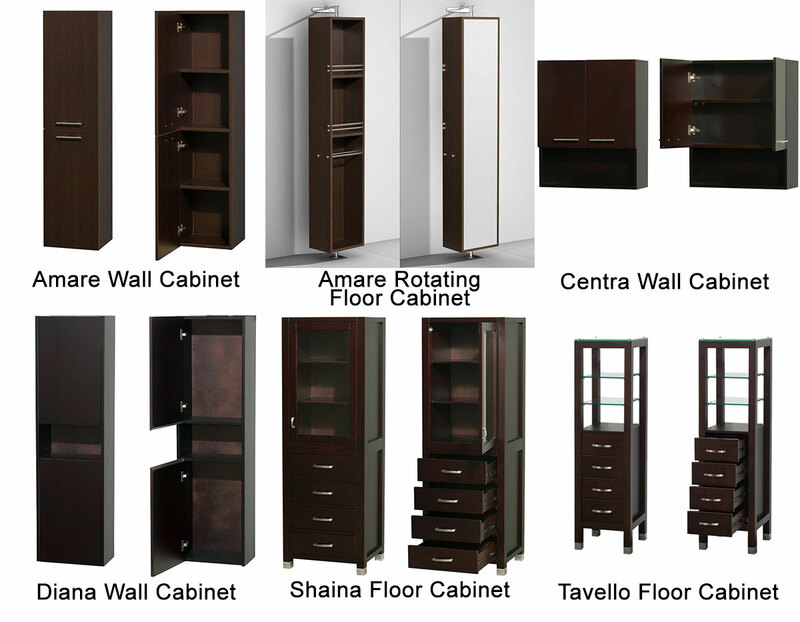 The water resistant espresso finish protects the warp resistant solid oak hardwood construction. 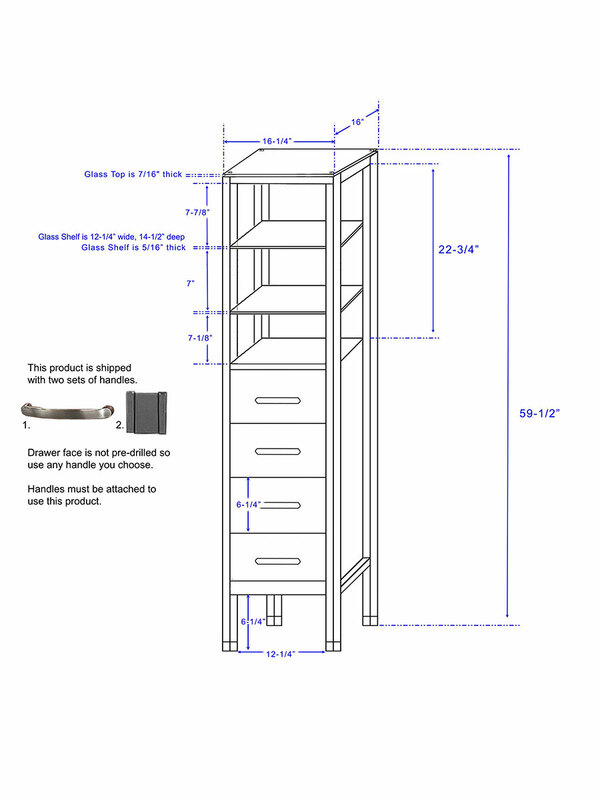 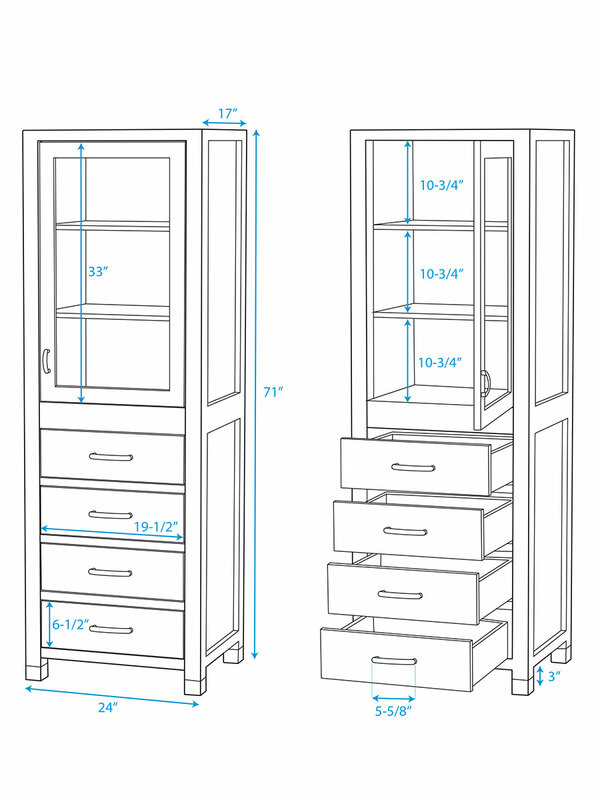 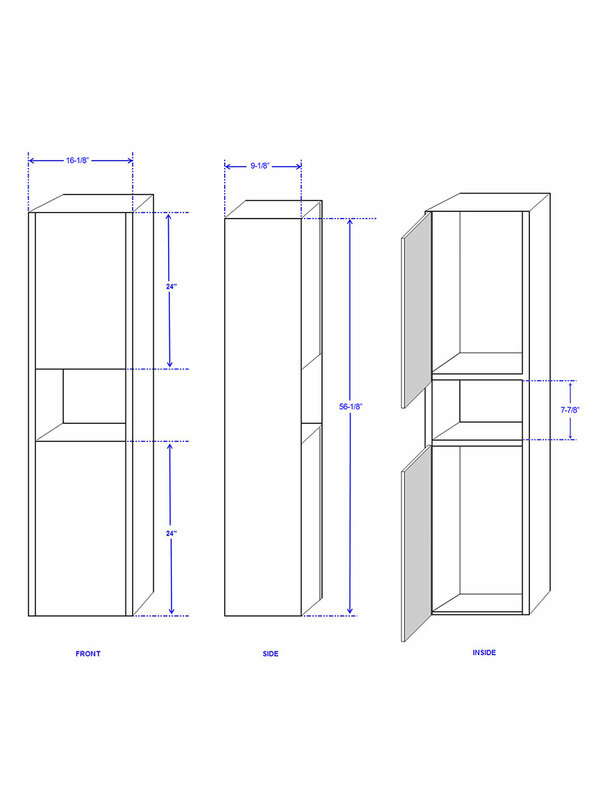 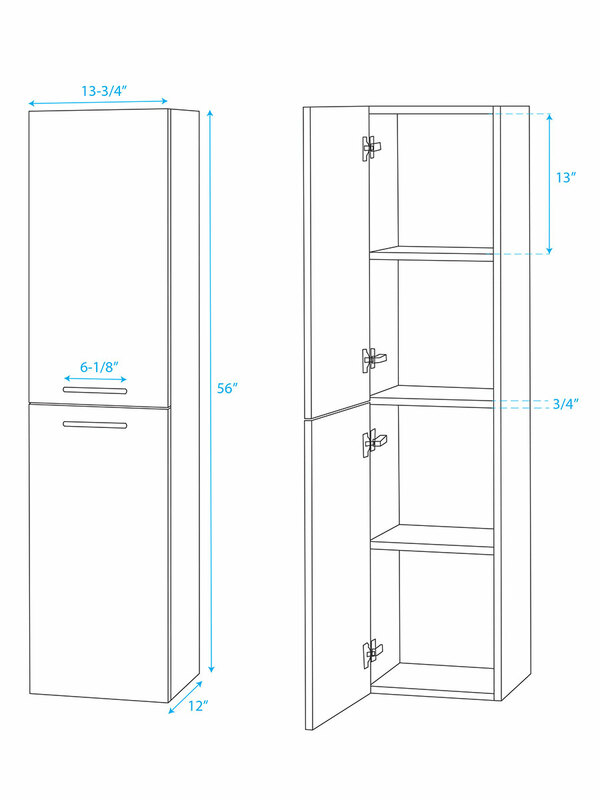 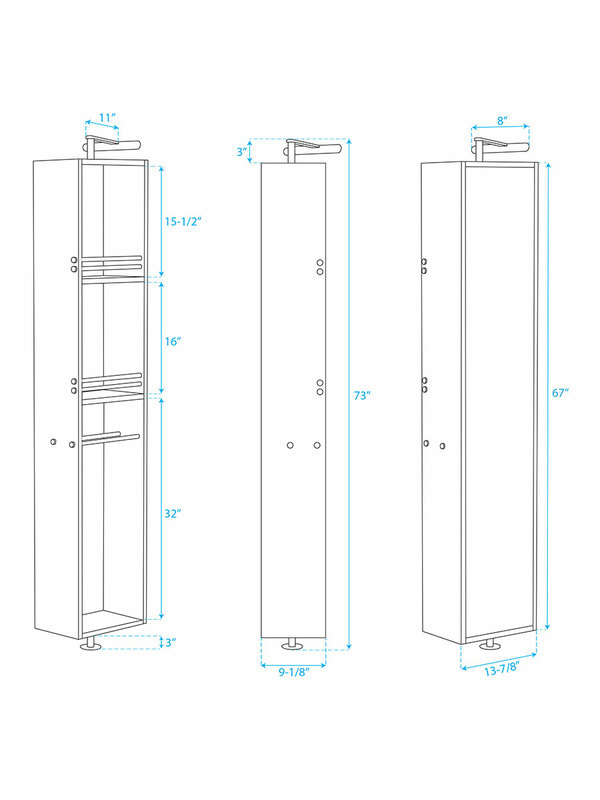 With four doors and six drawers, all your storage needs will be met. The countertop is available in two natural stone selections, and there are several vessel sink options as well. 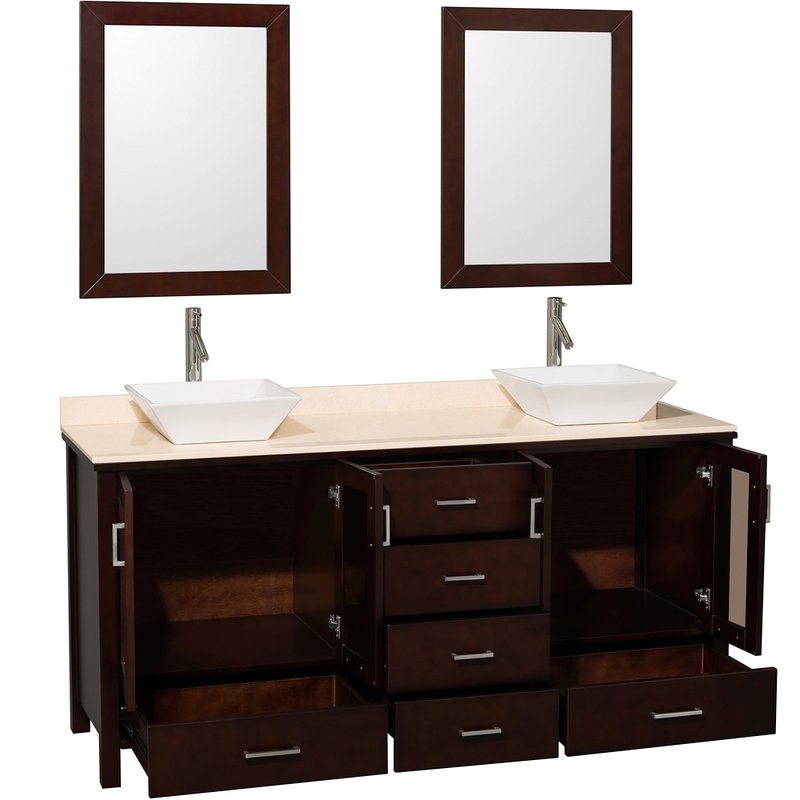 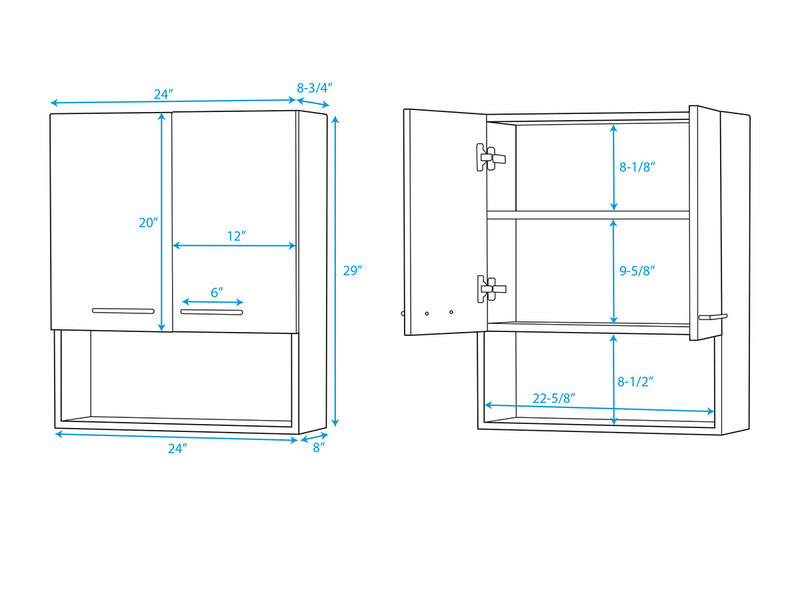 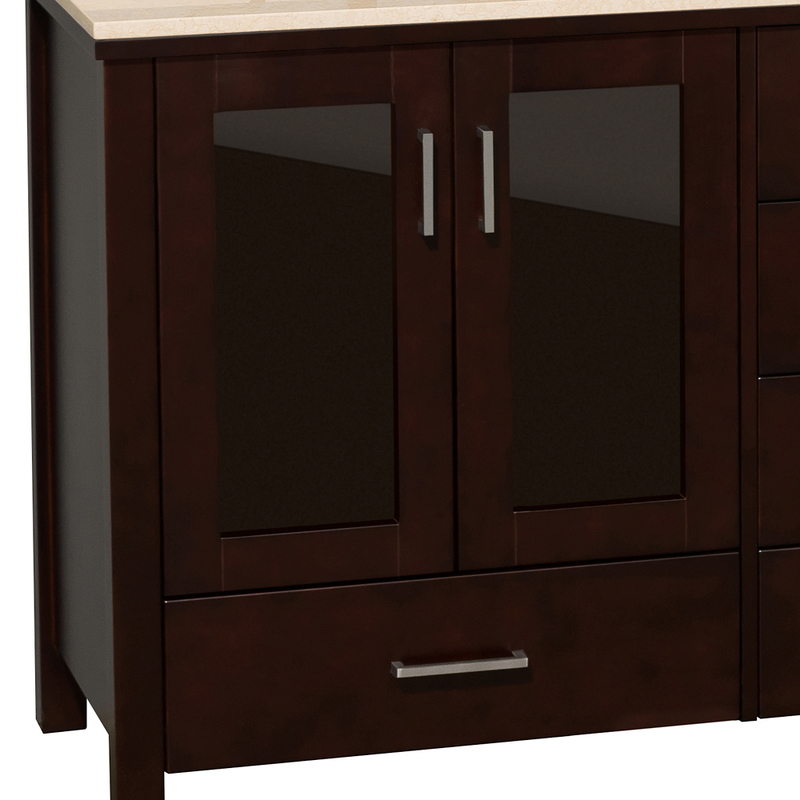 You will receive a pair of matching mirrors, and an optional side cabinet is available to expand your functional decor. 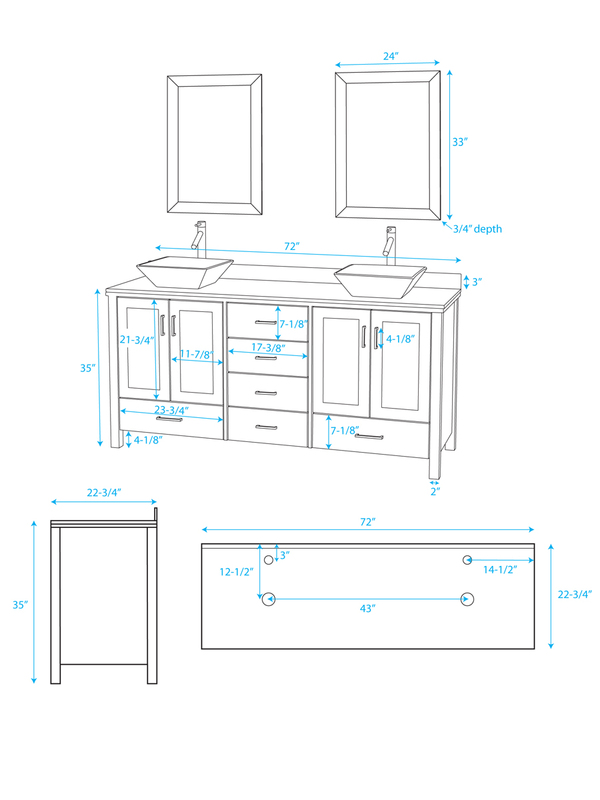 Each side of the top is pre-drilled for single hole faucet installation, but faucets are sold separately.